Former BYU star Jimmer Fredette has signed a deal with the Phoenix Suns, according to Fredette’s Instagram. If all goes right in the transition between the Shanghai Sharks and Phoenix Suns, Fredette could be making an appearance in the Phoenix Suns game against the Utah Jazz on March 25 in Salt Lake City. Fredette recently finished his third season in China with the Shanghai Sharks, where he had been averaging 36.9 points per game. Fredette was named the Chinese CBA International MVP after averaging 37.6 points per game in the 2016-17 season. Fredette was drafted 10th overall in the 2011 NBA draft by the Milwaukee Bucks, who subsequently traded him to the Sacramento Kings where he played until 2014. Fredette then had short stints with the Chicago Bulls, New Orleans Pelicans and New York Knicks before heading to China in 2016. 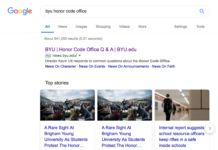 Though he had a realistic chance of being drafted after his junior season in 2009-10, Fredette elected to come back to BYU for his fourth and final season. He finished his senior season as the NCAA Division I leading scorer, averaging 28.9 points per game on 45 percent shooting. 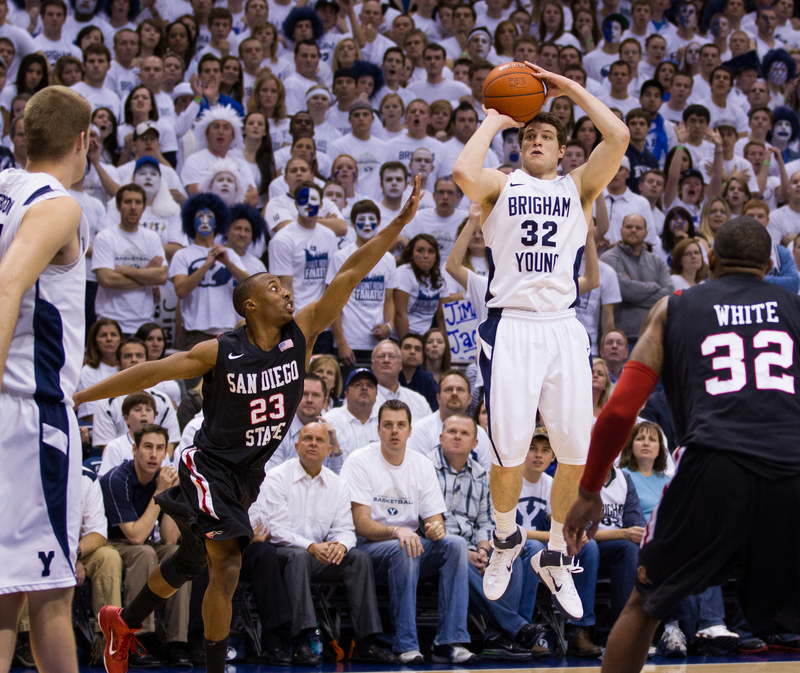 During his senior season in 2011, BYU experienced “Jimmer Mania” as chatter among the nation focussed on the elite college shooter. 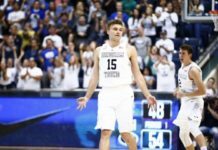 NBA superstar Kevin Durant even tweeted about the BYU hoopster after Fredette dropped 43 points on an undefeated San Diego State squad that was led by now NBA star Kawhi Leonard. Jimmer Fredette is the best scorer in the world!! Fredette received more than 10 national and conference awards during his final season. His list of awards included being named to the AP First Team, SI.com First Team, Foxsports.com First Team, USBWA First Team and State Farm Coaches’ First Team. The 6-foot-2 guard’s most noble accolade of the season came when he was named the NCAA Division I men’s player of the year in 2011. Fredette’s college success never transitioned into NBA success, as he averaged only 6 points and 13.4 minutes through 235 NBA games. The Glen Falls, New York, native last played NBA basketball in the 2015-16 season with his time being split between the New Orleans Pelicans and the New York Knicks. The Pelicans signed Fredette on a non-guaranteed contract and released him four games into the season. After signing a 10-day contract with the Knicks, he was released. An updated story will be posted on The Daily Universe website on March 26 after the game has concluded.